#/2 UPDATE ON YOUTUBE SHOOTINGS - A woman opened fire at YouTube's headquarters near San Francisco on Tuesday, wounding at least three people before taking her own life, as employees of the video website scrambled into the surrounding streets for safety. UPDATE ON YOUTUBE SHOOTINGS - San Bruno Police Chief Ed Barberini says four people have been transported to area hospitals with gunshot-related wounds and one person is dead with what officials suspect is self-inflicted gunshot wound at YouTube's headquarters near San Francisco. WORLD NEWS - This is a situation happening right now in California. 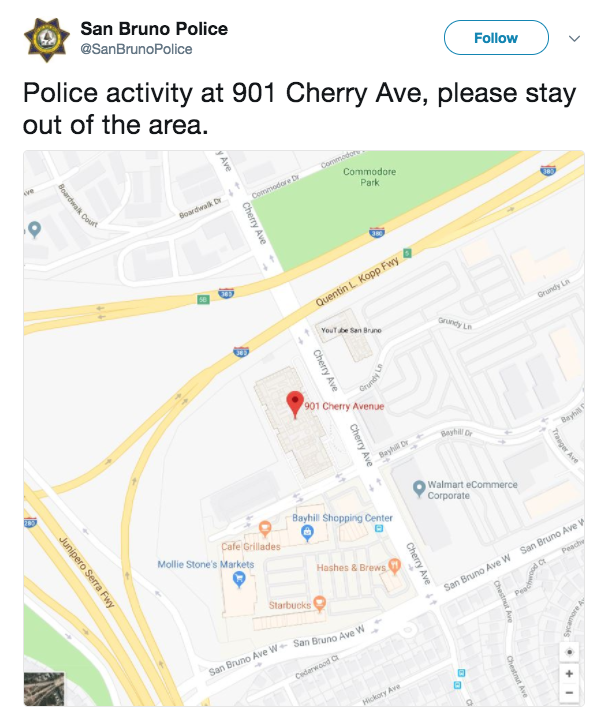 Police said they were responding to a possible shooting at or near the headquarters of YouTube in San Bruno. There are several reports that ambulances have transported people, maybe four or five, to hospitals after a shooting was reported. There is no official word on the conditions or exact number of people at this time. Manitoba Post will provide more details are they become available.